Baker Love Lawyers is a long-established Newcastle legal firm with an enviable reputation for consistently exceeding our clients’ expectations and efficiently achieving results. Ours is a transparent service delivered by a confident team with impressive legal expertise. 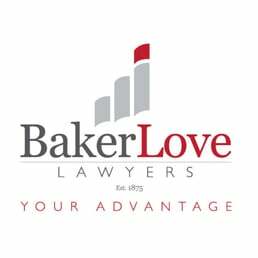 At Baker Love, everything we do demonstrates our commitment to support your long-term or short-term needs when it comes to the law and legal issues. Founded in 1875, Baker Love is proud of our record as one of Newcastle’s oldest and most trusted law firms.Located in Wallsend, Baker Love’s lawyers are easy to talk to and will discuss with you, in plain English, the legal services you might need.When you choose Baker Love Lawyers you’re partnering with a team of experts that offers many years’ experience across a broad range of legal issues. But we’re not a group that hides behind closed doors – we’re easy to talk to and openly discuss with you the services you might need. We provide you with guidance to deal with your situation, share details about the legal process and happily answer all your questions.